its been 3 weeks (i guess) since kk started raining again. 2 months of drought seriously killing me since i live in the apartment without aircond so it really really hot at night. thats where i live now. it's super jam in the morning but i am not gonna tell you haw bad it was on this post. just enough if i mention that this traffic jam in Beverly Hills Phase 3 has turn me into a bad driver. i learn how to take over and cut the cars line since if i am too kind i wont make it to workplace at 8am. now, my early morning will start by cursing other driver if they drive too slow or if they do just a little mistake. don't worry, i curse in my car alone. if you live in phase 3, be careful, i was probably cursing about you. there are few incident i can't forget happen few weeks ago that make really make me regret my act. i was driving fast behind this Kancil Perodua one morning. but the Kancil infront me drive too slow and i just can't stand it, so i make my decision to take over him. 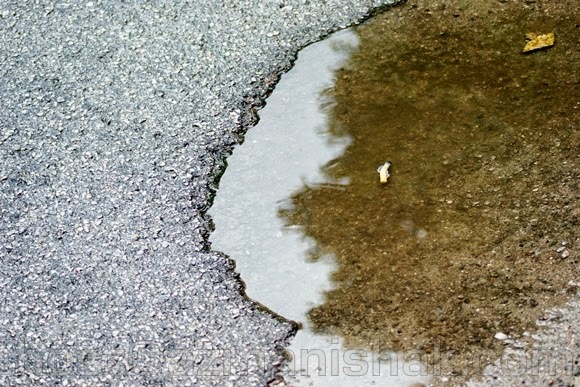 i forgot that it been raining few days in KK so when i take over the car, i drive through some waterholes and the water spilled over to the kancil. i didn't realize it until my sister told me,almost shouting. "oh my God! the uncle didn't shut his window and the water when into his car!" i wanted to stop but other cars was at my back so, i can't and even if i stop the uncle will probably kill me! three days after that, i did the same things again. drive into the waterholes but this time the water hit a pedestrian. i saw him actually from the beginning with his umbrella and his pant was folded upper. he was trying to avoid the rain but there i was making him wet in just a sec. i didn't expect the water would me so ruthless. it also happen to me long ago and i remember how angry i was to the driver. now i was in the driver seat. but seriously i've been thinking about these two incident for 3 days and reflecting back how far i've change. i used to be a good driver. very high tolerated driver. but it's actually true, i keep thinking about these incident for three days. i keep telling this story and how kejam i was to everyone i met for three days! 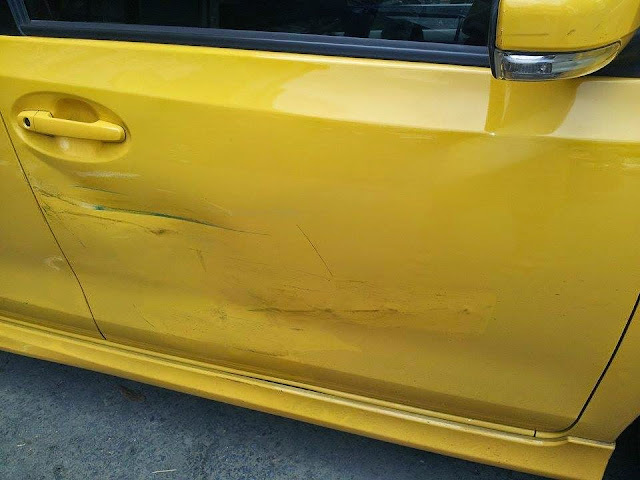 but then, on the third day of feeling guilty i found my car hit by the uncle who live next door. i was so angry at first because it was in the parking and it got hit by other car. i was like, how on earth would you hit a car who park nicely beside your car?? i went to see the uncle and i just found out that he's old. actually he's just too old to drive. he apologize and said that he could only give me one hundred because he don't have much money also. at first i plan to go repair it and then give the uncle the bills but then i think i should't do that. so i consider it as my KARMA. i am going to repair it using my own money and consider it as me paying off for my fault to the unknown pedestrian and the uncle kancil. now i feel better and i stop thinking so much about it. but of course i have to still be careful of the waterholes after this. i want to apologize on behalf of all the guilty driver to all pedestrian who have the same experience with the waterholes. sometimes we (drivers) didn't mean it. it been a long drought that we forgot about the waterholes. and sometimes maybe we are rushing that we forgot about you guys. but you are allowed to curse on us. just afte the cursing, please forgive us. Karma jg kan.. sy pun oernah tu laast year hujan2 drive, ada tu org pkai bju hujan tunggang motor. Lebat gia hujan trus x prsan sdh ada lopak2. trus lalu dpn tu pnunggang motor, dia kna siram ni. X sngaja btl2. Tp sy trktawa jg skit. Haha.